How do you stand out from the crowd and get your products noticed amid all the other noise? The average click-through rate (CTR) of display ads is 0.05 percent. Compare that to video’s 1.84 percent CTR. As of 2016, video traffic accounted for 73 percent of internet traffic. Video is becoming an increasingly effective way to engage your followers and gain new subscribers. You can also use video to provide your customers with valuable information. If you have a complicated workflow on your website or if users need to take a specific action to activate a feature, you should add video to your content strategy. Whether a video is for marketing purposes or functions as a road map for how to use your product, it can boost conversions on landing pages by up to 80 percent. When Dropbox first launched, the company saw a 10-percent increase in conversions after adding a video to the landing page that explained how to use the product. Videos can also provide value by explaining complicated theories, concepts, and ideas in an easy-to-digest format. After all, a one-minute video is the equivalent of 1.8 million written words, according to Forrester Research. 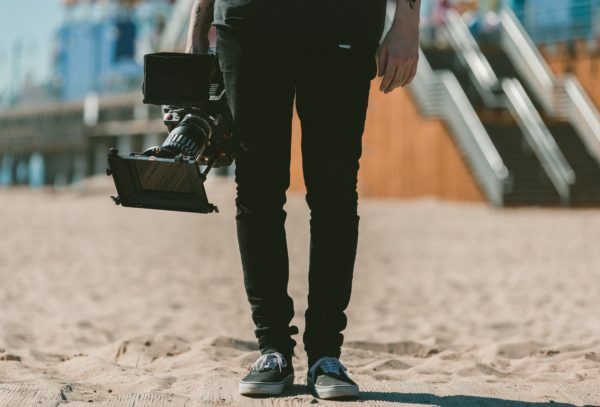 Although producing video can require a significant investment in time, resources, and money, it can help you reach new audiences and stand out from your competition. According to a HubSpot report, 54 percent of people prefer video, which makes it one of the fastest (and continuously growing) sources of marketing content. Five billion videos are watched on YouTube every day, and viewing sessions on mobile devices can last upward of 40 minutes. Videos can be used as a lead generation tool, helping to capitalize on web and mobile traffic. Of video consumers, 80 percent recall a video that they’ve seen over the past 30 days. In addition, video can increase the conversion rate of your product significantly. We’ve touched on the potential of videos to increase conversion rates. Since video is a great way to tell your story to a wide range of people, it can also help to disperse your message to viewers who are more likely to become customers. While advertisers and marketers should be careful not to create video just for the sake of it, pairing a quality video with great content can elevate the piece to the next level. Videos can increase consumer confidence when it comes time to purchase, with consumers citing videos as a deciding factor when debating which products they should spend their money on. You have to be careful that you don’t create something no one will watch. You should determine the return on investment for a video before you even begin production. What are you hoping to get as a result of people viewing your content? Who will watch these videos? What are my target demographics? Where will my audience find these videos, and which platforms should we focus on? Why are these consumers watching my video? Is there some kind of call to action or information that will cause them to act? When are people watching my video? If you haven’t already, you should figure out who your current customer base is and who you want to target. Your videos should be tailored to your audience and contain content that your audience really wants to watch. It is essential for a car parts dealer to know that their audience is full of do-it-yourself people. This is why they’ll create how-to videos on repairing and replacing car parts. A beauty brand’s followers will be interested in how-to videos on picking the right foundation color, contouring, or selecting the right makeup looks for the season. The bottom line is this: Know who your customer base is and help them make the most of your product based on their interests. Where is your audience searching for information related to your product? If your target audience is full of DIYers, like the car parts company, YouTube might be a great place to start. The plan is to be where your viewers are, providing them with more tools to engage with your brand and potentially become customers. Another place where videos would be a good fit is on product pages. Here, viewers could see the product in use. If your audience is full of frequent Twitter users, then posting a video there in shorter, bite-sized pieces could create more engagement. Figure out where most of your visitors are coming from — Social media? Google? Somewhere else? — and engage with them there. Just YouTube, Facebook, or Instagram won’t work for every business, so it’s important to target the right platform for your audience. If you’re not sure where your audience interacts with your content the most, create unique URLs or landing pages that directly correlate with your videos. Test each platform over a couple of weeks to see where you get the highest engagement and conversions. Remember, you might have more engagement on one platform (like Facebook), but if you’re getting more conversions through Pinterest, that should be where you focus your efforts. Define your where based on your audience and their online habits. You should have a pretty good idea, after the first two steps, why your visitors are watching your videos. Do they need more in-depth product information? Do they need to know more about the company? Did you create a super funny or interesting viral video? Whatever the why might be, make sure to keep track of it. Use analytics, insights, and general consumer feedback to produce the content that answers your why. Your audience might interact with your video content a lot differently, or at different times, than your written content. That’s okay as long as you measure that data. Make sure your videos are tailored to the platform or place where they will be seen. A video on an FAQ page will be very different than one posted on Twitter for entertainment. Your video content should match what your audience wants and should be posted when they are most likely to engage with it. If you’re unsure of when to post your videos, try posting throughout the day to see which videos lead to higher conversions. If you’re getting various CTRs on different products, try to tailor the videos to the audience interacting with them during those time periods. After all, a stay-at-home parent will interact and convert to a very different video than a busy professional — and the key to getting both demographics lies in your research. Videos help you engage your audience. Videos help build trust with new and current visitors. Videos help drive traffic (to landing pages, your website in general, or where you’re leading the viewers). Videos help with organic search rankings. Videos can help build your social media reach. Videos can set you apart from the competition. Videos can help set your company up as a thought leader in your industry. Videos can increase understanding of your product or workflow. Video outperforms text by a lot. Biz Tips: How to Increase Conversion Rate Using A/B Testing by 200%?